It was the role Lindsay Lohan was born to play, according to Lindsay Lohan. 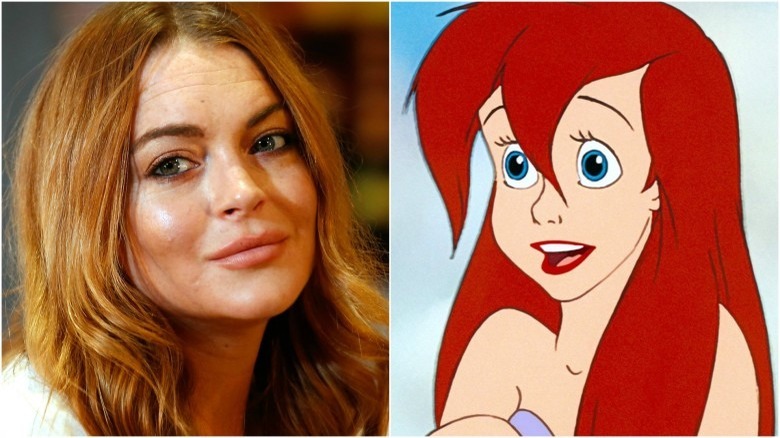 Now that Disney has a live-action reboot of The Little Mermaid in the works, Lohan took to Instagram to throw her name into consideration. While she's since edited — and later deleted — the post, Entertainment Weekly reports that the original caption read: "I will sing again, as #ariel #thelittlemermaid"… "@disney approve that "#billcondon directs it along with my sister @alianamusic singing the theme song for the soundtrack." Bill Condon is the director behind Emma Watson's upcoming Beauty and the Beast, but there's been no indication that he'll helm The Little Mermaid. And any involvement by Lohan's sister, Ali, is probably suspect, too. If the filmmakers' sole concern is to find an actress with red hair, then Lindsay Lohan would fit that bill (sometimes). But we're sure they're looking for a few other qualities that don't exactly scream "LiLo." There's been no comment from Disney, so this is probably just wishful thinking on the part of Lohan. While we wait for actual casting details, check out which director publicly dissed Lohan after working with her.